Login to your account here and navigate to the ‘refer a friend’ tab. Share your link on social media, by email or simply by copy and pasting it wherever you like. Once someone has signed up using your link and made their first transaction you’ll both get your £10 (also available in dollars or euros). Get hold of your referrer’s code via social media, email or manual sharing. Ensure you use this code when signing up – if you’ve received an email simply follow the links from inside. Once you’ve signed up and made your first transaction you’ll receive the £10 credit (also available in dollars or euros). 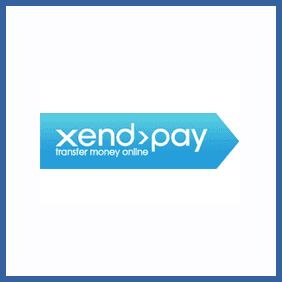 Xendpay is a service for sending money internationally online. If you’re an existing customer and have interested pals who’d like to get involved you can refer them and get £/$/€10 per new recruit. As a bonus they’ll ALSO get the credit in the currency of their choice. Refer 5 new customers and you’ll receive a bonus of £25, refer 5 more and get a further £25 – not bad.